Students interested in the Premier Basketball Academy must submit the Student Information Form. Yearly Program Cost –$1700.00. These fees have been calculated to cover the costs of the program including: Coaching staff, facility rental, group fitness training, equipment considerations, Basketball BC membership, and player uniform package. Coaches: Greg Meldrum, Ryan Lenarduzzi and Kaitlyn Burke will be our Academy Head Coaches for 2018-2019. Course Credit: Students are eligible to receive PE credit (4hours) at their grade level for successful completion of the class. The design of our program is such that students meet the criteria for eligibility to play sports for their home school team, as set out by BC School Sports. Cohorts: Two boys RTC, one girls RTC , and one Development. Academies are determined at tryouts in March. You can read more about the RTC and Development Academies below. 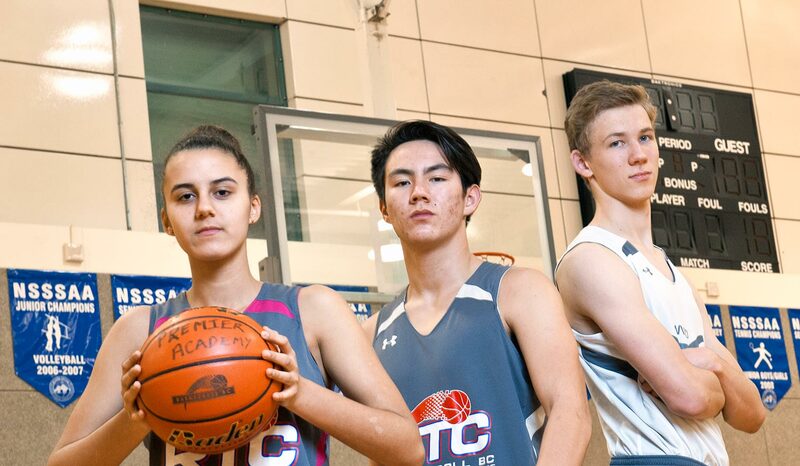 Facilities: RTC 1 Boys will be based out of West Vancouver Secondary School; RTC Girls will be based out of Sentinel Secondary School; and RTC 2 and Development will be based out of the West Vancouver Rec Centre and West Vancouver Secondary School. This high performance, elite training opportunity is open to male and female students entering Grades 9 – 12 from within and outside the West Vancouver School District. RTC Boys 1 will train at West Van Secondary; RTC Boys 2 will train at West Van Rec Centre and West Van Secondary. The program is open to male and female students entering Grades 8 – 10 from Rockridge, Sentinel and West Vancouver Secondary Schools. For information about Basketball Canada’s Athlete Development Model, please click here. Please continue to check both this page, and our news pages for any new information on this exciting academy.